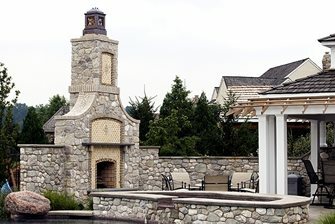 This unique combination of fireplace and two freestanding columns connected by a wood arbor overhead. Such structures support unique lighting opportunities from fixtures integrated into the overhead. 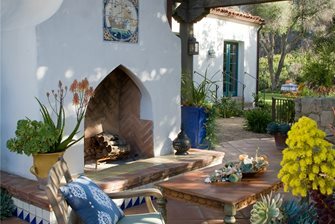 This 1920s style Spanish fireplace with beautiful tile mural inset into the chimney features fine firebrick work on the inside of the firebox that looks great even when not in use. 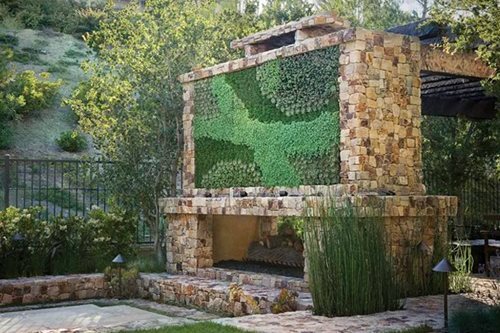 This very large fireplace dominates the spaces around it and may serve as a much needed privacy screen for the elevated spa to block views from neighboring multistory homes. 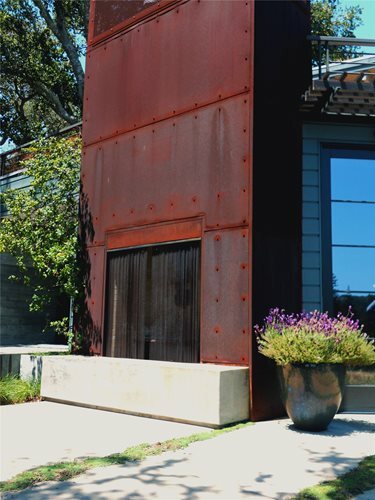 This fireplace was finished with a veneer of corten steel allowed to rust and create its own patina for a uniquely modern architectural feature. This massive see through fireplace is topped with a very wide chimney shown here on the outside where a vertical succulent garden is installed on the face. 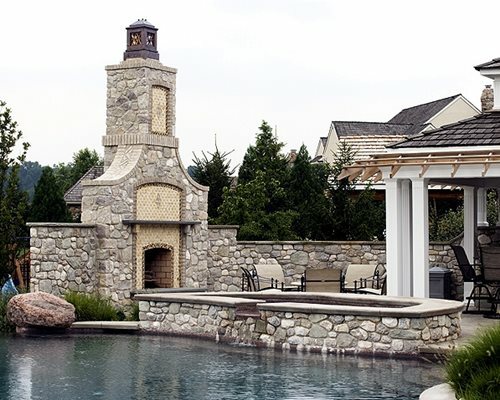 A custom masonry fireplace allows for complete size, style and material customization. 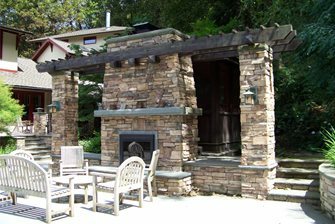 The structure of a custom fireplace is frequently built using concrete block and mortar, the firebox is lined with fire brick. 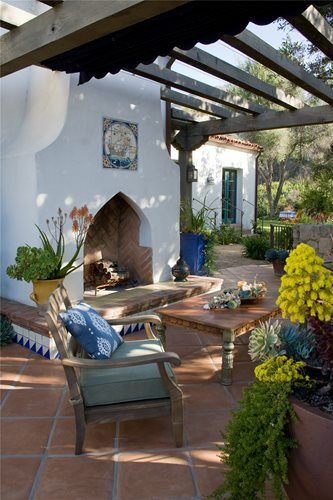 The outside of the fireplace can then be finished with stucco, stone or brick veneer, decorative concrete, or tile. 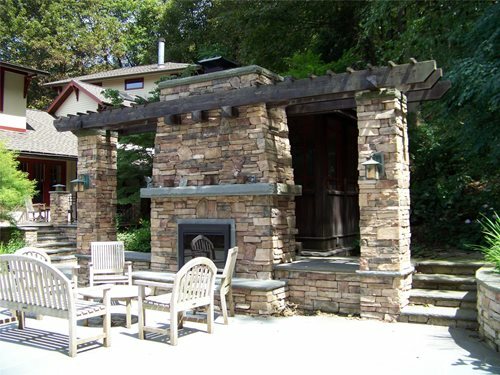 The construction of a custom fireplace requires a great deal of knowledge and experience, look for a contractor who has built outdoor fireplaces before. The time frame for completion will be the longest when you select to have a custom fire place built. 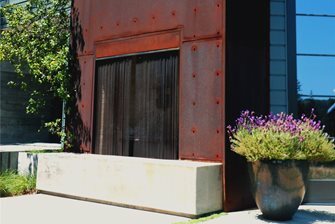 The installed ranges from $14,850-$35,850 depending on the size, veneer material and styling. Learn more about the structural components necessary for a properly functioning outdor fireplace.